There are hundreds of beautiful historical buildings in the UK and each one has its own unique story. However, many people are completely unaware of the people who built and designed these magnificent buildings. While some may not think this is important to know, each famous architect has inspired future generations through the long-lasting legacy of these buildings. Every heritage building offers a unique snapshot of the culture and architectural trends popular during the time it was erected, often standing as a permanent reminder for hundreds of years after it was first built. However, this simply wouldn't be possible without the upkeep and care taken by companies specialising in the restoration of historical buildings. With that said, let's take a look at some of the UK’s most famous architects and the buildings they gave us. One of the UK’s most well-known historical buildings, Westminster Abbey was opened in 1090 after five architects spent years designing the building. These architects were Henry Yevele, Robert of Beverley, Nicholas Hawksmoor, Henry of Reyns and John of Gloucester. Each of these men dedicated their lives to creating the wonderful monument that we know and love today. As a result of their work, today, the Abbey is marked as a national treasure. Not only does it receive thousands of visitors each year, but it’s also the location where many royal marriages have taken place including the recent wedding ceremony of the Duke and Duchess of Cambridge. Otherwise known as the Houses of Parliament and known to this day for holding our current parliament, the Palace Of Westminster was built in 1016. The architects behind this spectacular building were English-born Sir Charles Barry and Augustus Pugin. Both men spent years devoted to designing a building that was grand, unique and breathtaking. Sitting alongside the River Thames, this building is an integral part of the London skyline that we are all familiar with today. Not only does it hold years of political history within its walls, but the Houses of Parliament are also well-known for their association with Guy Fawkes and the Gunpowder Plot. One of the famous architects who helped to create Westminster Abbey, Nicholas Hawksmoor also designed St Paul's Cathedral alongside Christopher Wren. This Grade I listed building has stood for over 300 years in the capital and is easily recognisable thanks to its signature dome. 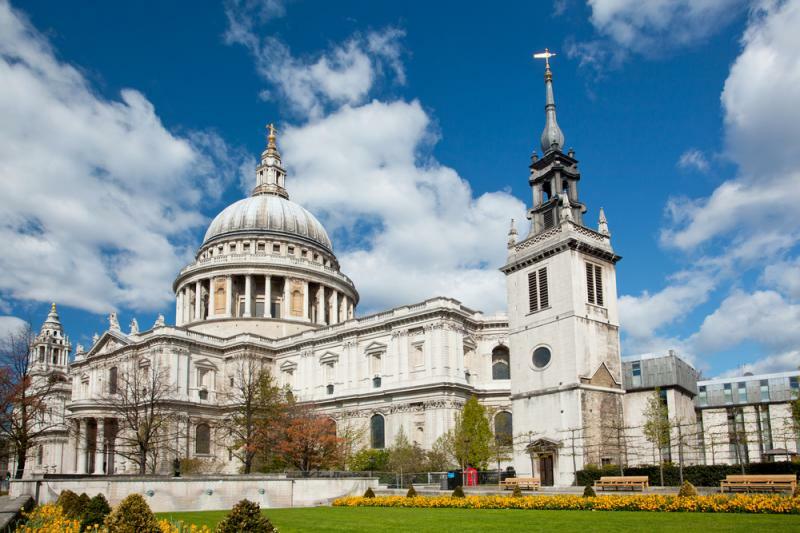 St Paul's Cathedral was built in a similar style to Westminster Abbey and both architects worked hard to create a building that not only stands tall as a place of worship but also looks magnificent. The cathedral is commonly known as the mother church of Diocese and is also the seat of the Bishop of London. Each of these incredible structures and well-known across the world, but how much do you know about the architects who designed them? Of course, without ensuring that regular upkeep and restoration of historical buildings takes place, these splendid buildings may not be here to enjoy today. For this reason, next time you're admiring a beautiful historical building, spare a thought for the people who have been instrumental in its design, creation and restoration.